Try to do some of the crazy rides in most of the continents that not many people did is a challenge. So, for what to wait? I have ended up my trip in Asia after 20 months and continuing with the third year on the road in North America. 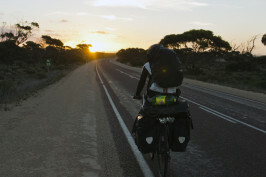 You can read here in short article how was my first year on tour around the world by bike. 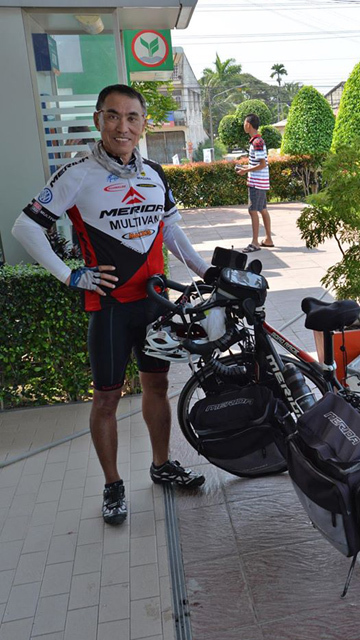 This blog will be about how I cycled here in Southeast Asia. I’ll try to provide also some hints and tips in article about traveling iun this region. 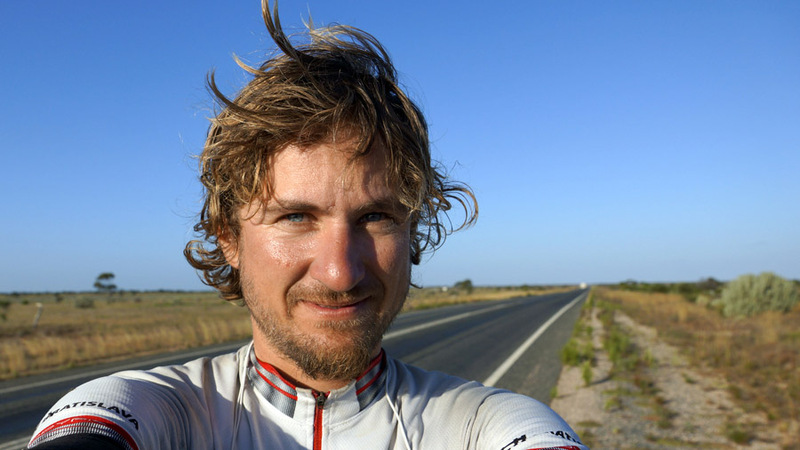 Before I will start with writing about how my trip was in Southeast Asia you are probably interestested in some tips for traveling or touring with bike there. There is lot more informations, but I am not going to share here everything. But I think some tip you can find useful once you’ll decide to travel here. On my trip I was in Thailand more than two months, but the food was best in Bangkok. Not because of there is best place to eat, but as in every other big city where you can find many options to go to eat. You can try fancy restaurant or just a street food. If you don’t want local food, you cna easy find something different or just go for delicous fruit. 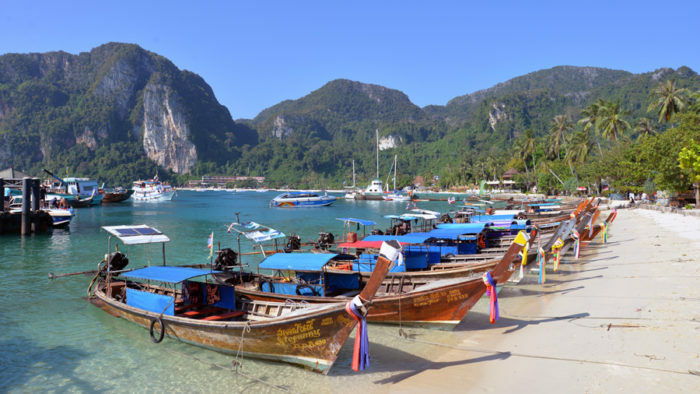 I can just spent there couple of days in small local restaurants eating their delights like thai curry, papaya salad and more tasty pieces from cuisine of Thailand. 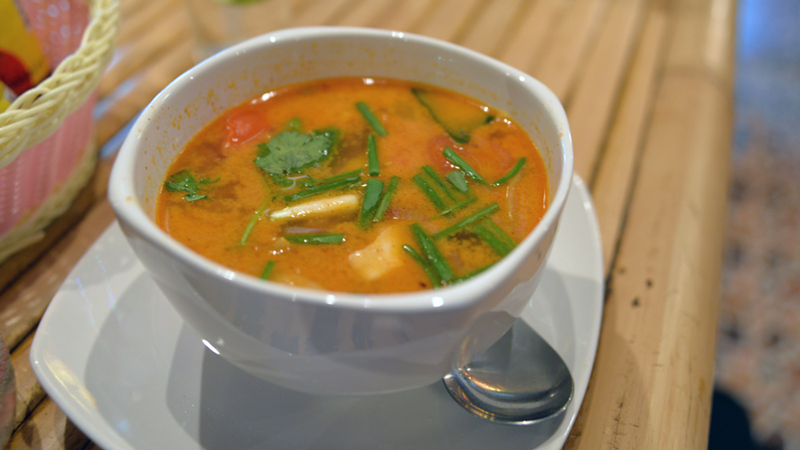 Thai curry is another tasty meal from Thailand. You can find a lot of beaches in Southeast Asia, but not everywhere beaches are clean. I find really nice beaches in Lombok, Sumatra and Thailand. Vietnam, Bali and Malaysia got more dirty beaches with lot of trash. Sometimes is good to sleep on the beach but, in this tropical regions use tent or mosquitoes net. Great beaches you can find alson in small island like Gili’s (near Lombok in Indonesia) or Krabi (near Lanta Island in Thailand). 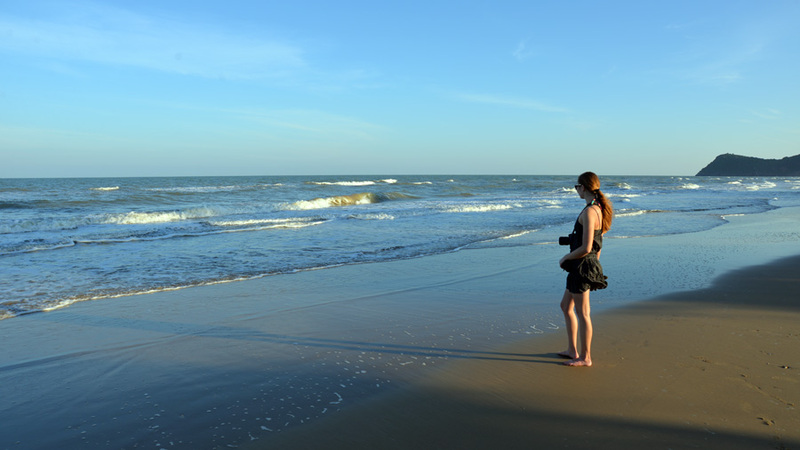 Heni on the beach in Thailand as we were cycling on the east coast. Roads could be dangerous when you cycling around the Thailand. Last years some touring people died there I’ve read in news. That does not mean to not go. Just to be more careful everywhere on the road. Most dangerous are roads near Bangkok, if you don’t want to risk, just take a train. 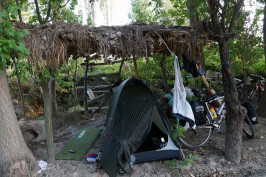 I cycled out of the jungle of the city (Bangkok) in early morning, but it was bad. Just smong, noise, cars, and dostroyed road. Not much pleasure. But you can find also some nice small roads in coutryside to take with almost no traffic. Also roads without cars, you’ll never know who is going in wrong direction to curve (happened to me many times). As I am stucked in morning traffic in Bangkok and trying to get out of the town as soon as possible. If there is no other option it can be better stay in tent then sleep just in sleeping bag. Sometimes you can put a tent with only net to cover yourself before the animals. It is pretty hot overninghts and in tent it is like a sauna. Better always seek for cheap place to stay. You can setup your tent in room to avoid some bugs or spiders in lowcost rooms if you are afraid, but I think it is all right. Better to count on no shower in many places. Change money at local places out of the borders. They got way better rate than the places near border. In Cambodia we had better rate then in bank. Also ATM could be expensive for withdrawing the money they should charge you and got limited amount. It was very small in Indonesia from 1 000 000 Rp to 3 000 000 Rp. Crazy trafiic and smog on many places with very narrow roads that are really dangerous. This was java for me, but I found also some nice road without cars that you can enjoy tea plantations and views on great volcanos around. In Indonesia is better to go to Sumatra and avoid main road connecting north and south of island. You can find really beautiful roads, but sometimes bumpy with holes. You can cross small towns with friendly people there. I like most West Sumatra region where everyone is easy going and smiling. Islam is everywhere around. Many days is just a cycling in jungle and enjoying the road. 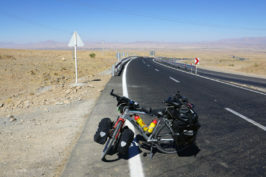 I visit some nice villages in mountains and get with bike around huge crater lake. 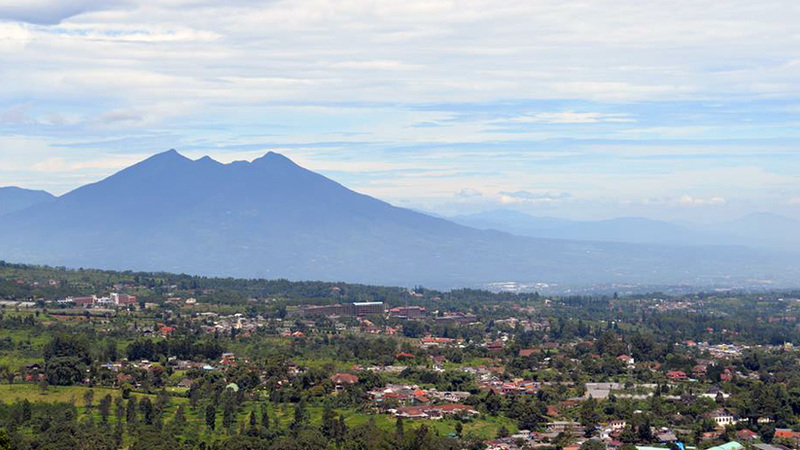 View on Bogor volcano from the top of the climb. 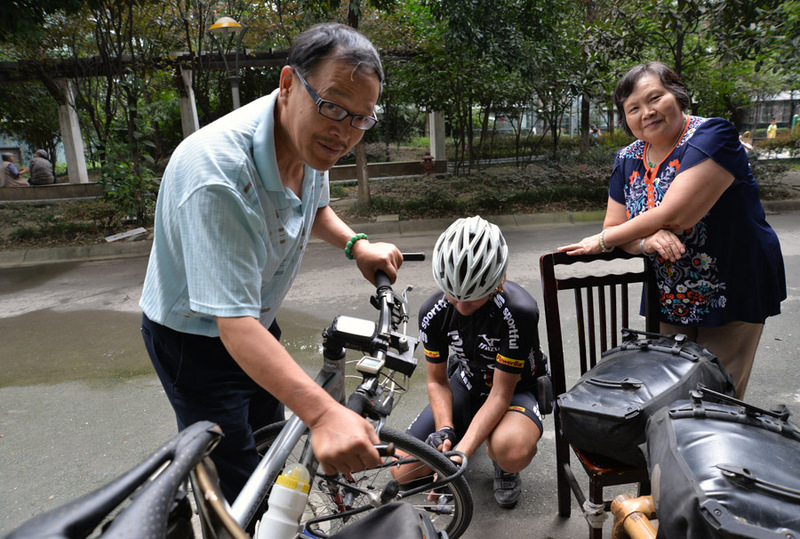 Before southeast Asia I was cycling and traveling more than 3 months in China. It was awesome experience. It was completely different from what I know. It is very interesting country with its own style and culture. 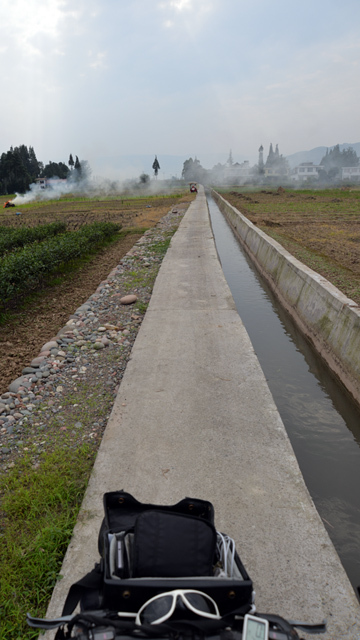 It is not very eco friendly and that means some days was really hard to breath. 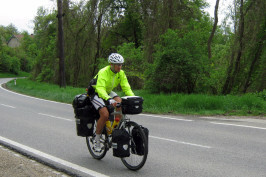 In mountains it is quite different and you are doing a lot of long steep climbs with bike. China is not same everywhere. Is changing by parts – food, language and people. I have to say many of those beaches were dirty and not very pleasant. These people there not care much about environment. Also roads been sometimes busy, but you can find great cycling routes in the jungle without a traffic. I was surprised how people still live in Laos. Here is short list of countries I passed thru. 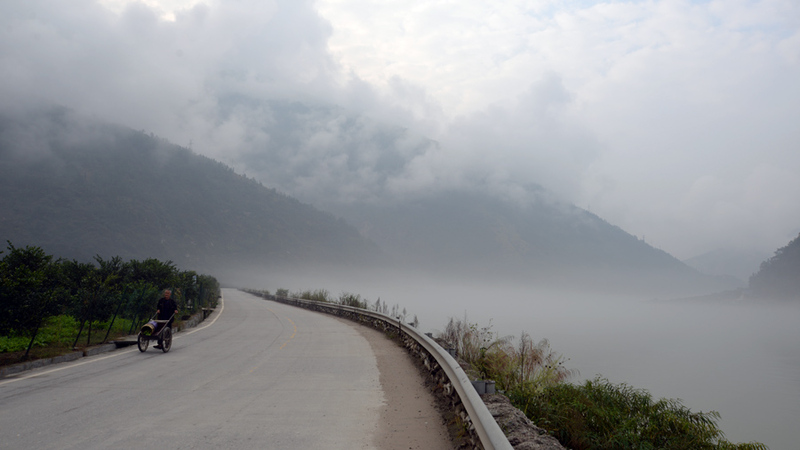 My trip here started when I crossed China / Vietnam border and try to go to northern parts of Vietnam. Got little interview in the Chinese border with officer about my overstay, but he did not understand my argument that I had headwind. In China these guys are so serious. 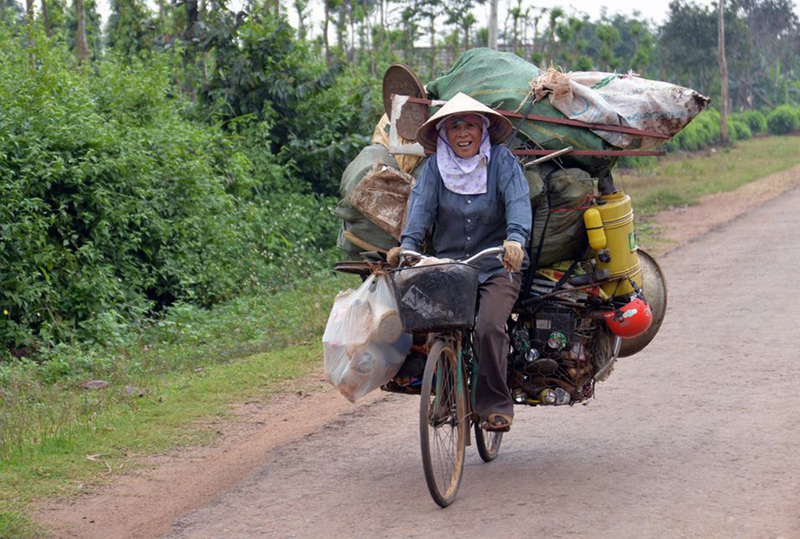 Woman on the bike Vietnam with huge load of things. Vietnam was like foggy country that time I been there. Weather was not nice. You know rain, cold and wind in mountains is not bestyou can have. I just slide down to the east coast. 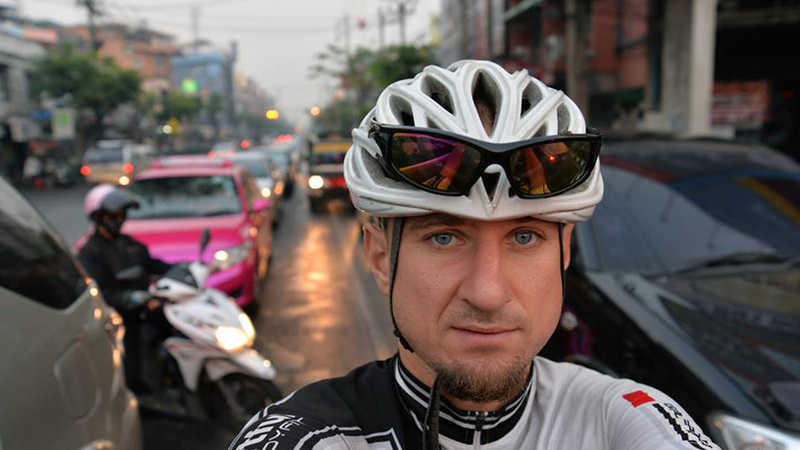 Met some nice Australians that helped me in Hanoi and get well rested and hit a road again. Vietnam was full of friendly people and it was not expensive to afford some places to stay. I like the soups with noodles there, but it was difficult to find not chemical food. 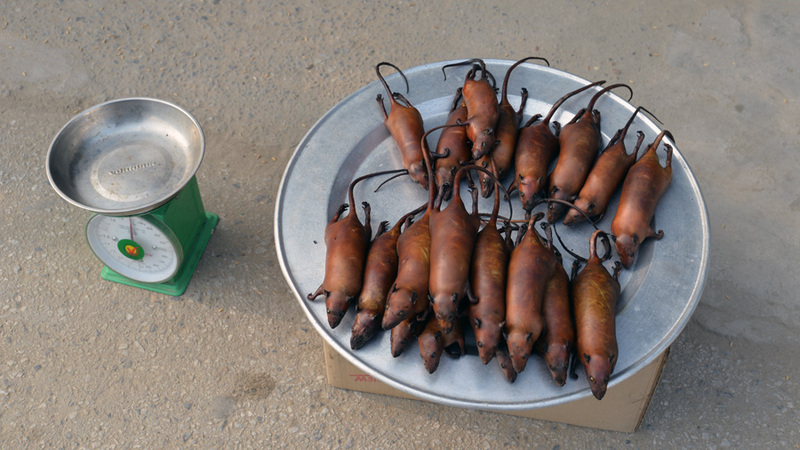 Rats in Vietnam as a food that guys were selling next to the road. Then I crossed thru mountains to Laos. Wooden houses, countryside like hundred years ago and almost no cars for first days. It was great to see different lifestyle there and easy going simple people live their life. I felt less secured then in Vietnam, but nothing special happen there. I saw many dead snakes on the road. After I joined Mekond River it get more busy with traffic and it was not very pleasant. Then I cycled to Bankgkok and Heni joined me. We cycled thru east coast to Krabi. East coast was nice and no many touristy places. We had not calm sea and it was difficult to enjoy swimming in open waters (just once there we were lucky). 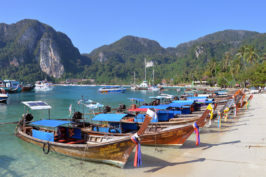 For better opportunities to enjoy the sea we cam to south-west pasrts of Thailand. We took a boat around the islands and did some snorkeling. On the islands there are elephants and waterfall. We really had a good time Lanta Island where stayed for our second New Year we spent out of Slovakia. Our friend from Slovakia joined us and saved us from being ripped off on this busy top season days. Thailand is very friendly country to tourists – people, police, but we heard some strange stories along the way. Fixing flat tire in Thailand. Thenstarted with moving to Cambodia. It was huge operation. We took hitchike to Bangkok It was fun, but we got a guy who was completely drunked and driving like crazy. We came to Bangkok alive and find hostel near train station to get to Cambodia on another day by train. I did not like Cambodia. Got strange feeling there from start. Many people tried to ripped us off in the first hour. We visited only Angkor Wat that is really cool. Then I continued alone down south to Malaysia. This very friendly country with mostly islamic and hindu people. It was great for travel when I took a smaller roads in the rice fields ans some main road. I liked also the food, but there is not many options as in Thailand. Only problem with traffic was around Kuala Lumpur. From there I get to Sumatra by ferry. 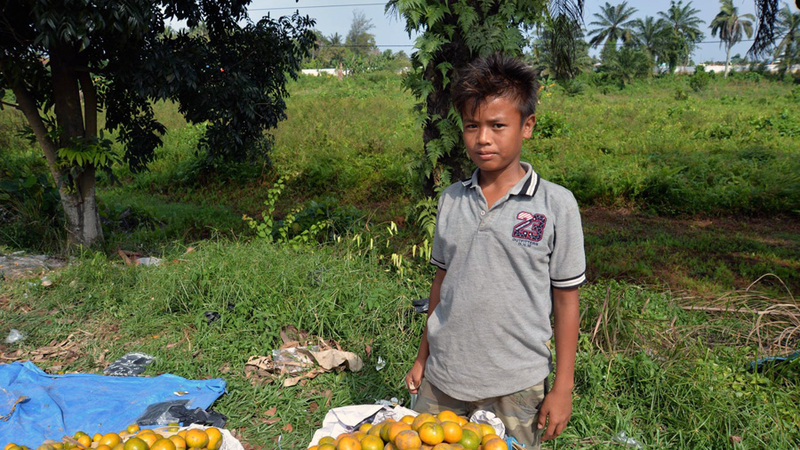 Young guy next to the road selling oranges in Sumatra. Cycled there in the jungle and on the smaller roads. First day on main road were on limit. On my travels there was invited to the wedding and taste a local food. It was fun and interesting to beeing a part of local cultural event. West Sumatra coast on my way south was great place to be. Not many places to stay, but you can stay just on the beach. 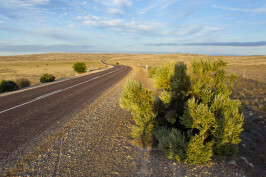 Beautiful untouched nature and beaches without people all around the coast, but road lead sometime inland far from sea. I was traveling with 65 years old guy from Japan that was living in Thailand for more than 15 years. I think he was really good cyclist. We were going few of day together thru steep climbs in very hot weather. We did once crazy hilly stage (over 20% grade) with cycling in night on these Indonesian roads in rain. That days was on the limit! Japanese guy I met during cycling here. Then I get to Java and it was a mistake to take bicycle without having a time to take very small roads. After 1000 km there I just give up and took a week of rest in Malang. Then took a train to Jakarta and flight back to Kuala Lumpur. Last month in Asia we spent with Heni in Bali, Lombok and Malaysia exploring and having some rest before the next big stage in America.